In between knocking on doors and meeting people in my township, I have been busy in the garden. Building on lessons learned from last year, I have already had some early successes. These include lettuce, spinach, radishes, and peas. I recently started putting in my summer veggies: tomatoes, peppers, eggplant, and green beans. 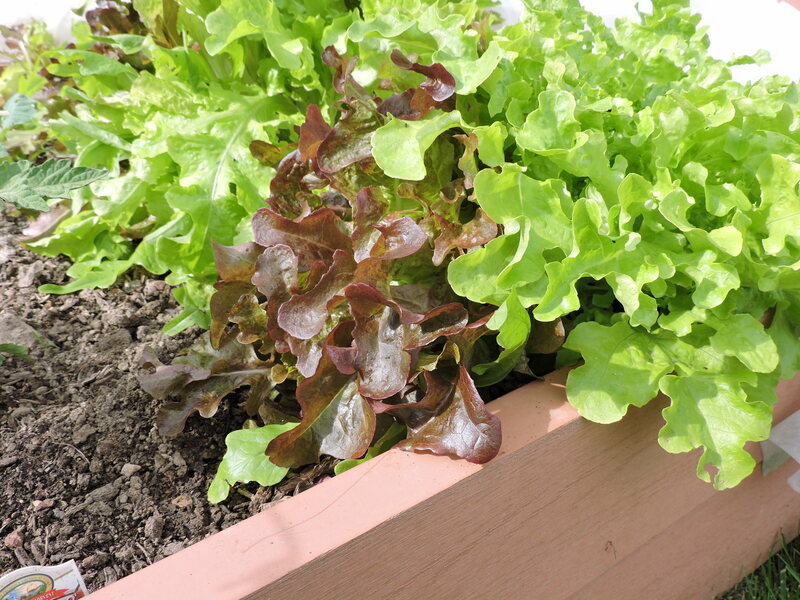 The longer than usual cool spring weather helped extend the lettuce. I had so much lettuce I have been giving it away by the armfuls. The spinach is about done and going to seed, which is good because I need the space for zucchini and cucumbers. I found a local source for high quality compost, and learned about the value of covering plants, organize means to battling pests, and growing in bags. 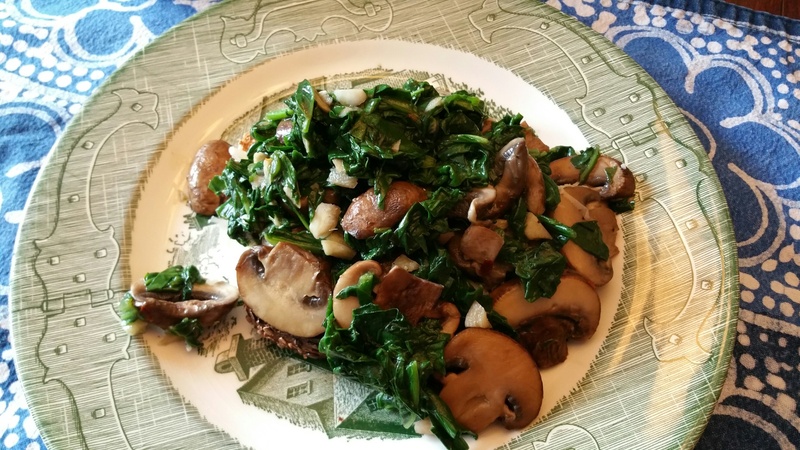 Add mushrooms, garlic and olive oil to homegrown spinach and you have yumminess for dinner. Last year I experienced the scourge of the cutworm, aphids, squash beetles, Japanese beetles, oh my! thanks for my BJ provided resources books and Google, I was more prepared this year. I learned that the white moths hovering over my garden was looking for a place to lay its eggs, which would later burrow into and kill my squash. This year I am ready with row covers. The slugs that come out at night to consume young cabbage leaves and nibble on strawberries were enticed by orange peels and deterred by coffee grounds. if that doesn’t work there is the old standby, diatomaceous earth. If I find a slug in the garden I move it the front by the bird feeder and give them a special treat. At the end of the day, I you want to have an organic garden you have to accept some damage. I compare it a little to having kids and dogs. If you don’t like the mess, don’t have them! Rows of carrots and beets. The row cover to the right is to protect eggplants from bugs. 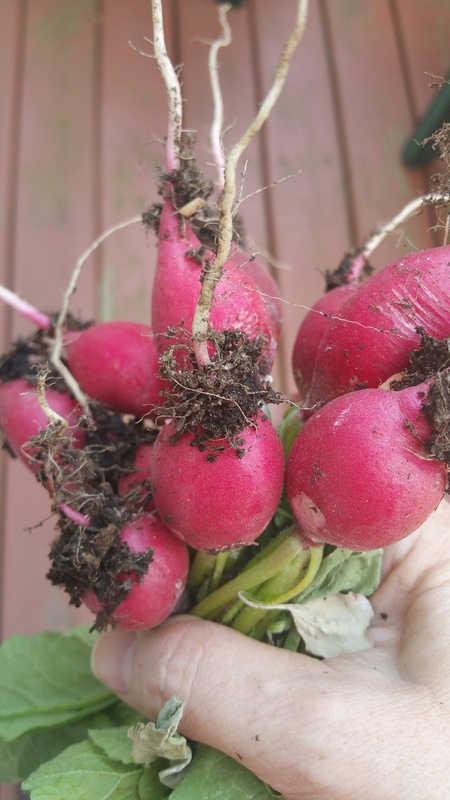 This year I tried some new vegetables: radishes — who knew how easy they were, carrots and beets — make sure they have enough space between them, broccoli rabe — easy to grow but don’t let it get too leggy, and potatoes. I bought a half dozen potato bags with trap doors and planted three different varieties of potatoes. They seemed easy in the YouTube video, and have been growing like crazy, but only time will tell. 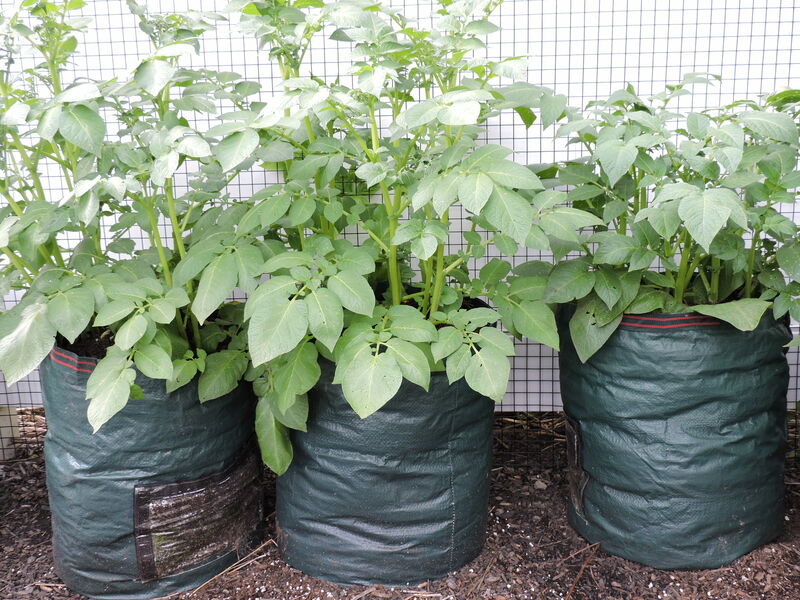 Potatoes growing in bags made from recycled materials. Hopefully I won’t get a visit from the Colorado potato beetle. I hear that Neem oil can help with that. Again I had some failures. I started everything from seeds in my Spring planting. If I had to do it again I would plant even earlier. 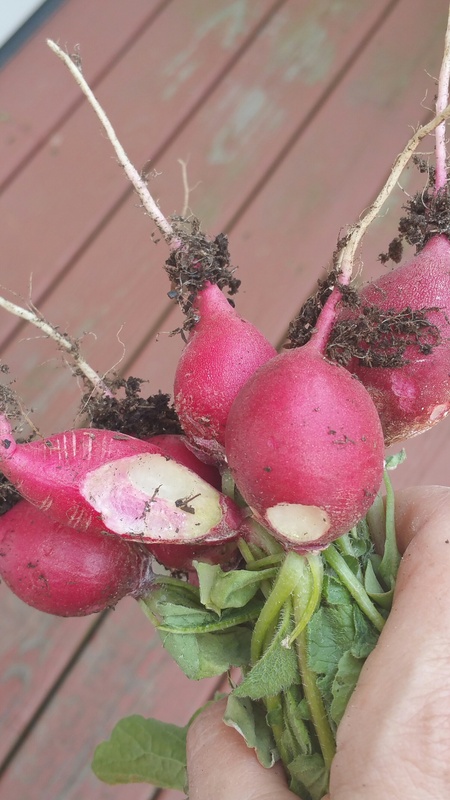 Radishes: they did super well, except for something that was taking bites out of them. I think it was slugs, After I put down diatomaceous earth they did better. I’ll plant more in the spring. Lettuce and spinach: The lettuce went a bit crazy. I was giving it away to everyone I would think of. I will plant less time. You can’t freeze it or cook it so you don’t want to have too much in the fridge. 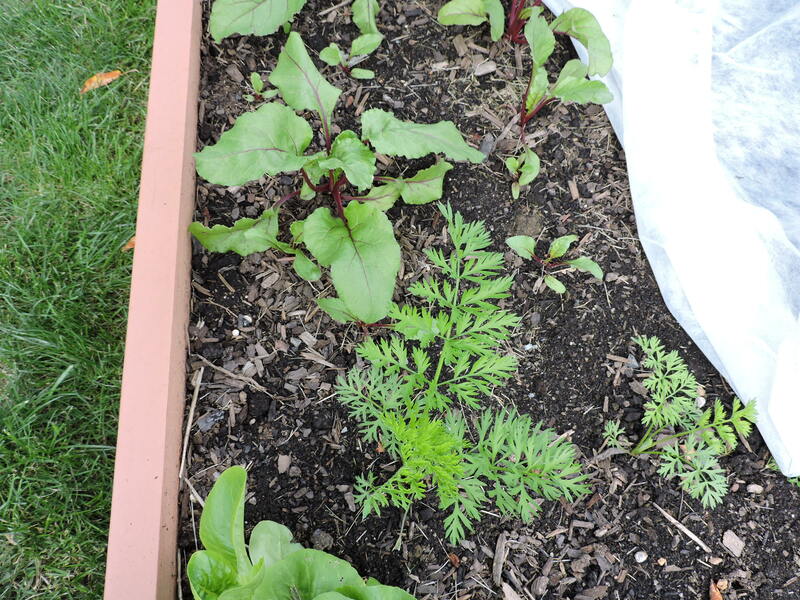 Carrots and beets: Carrots prefer warmer weather, so they took their good natured time coming up because I planted them in April. But they did, and grow in rows, their feathery greens waving in the wind. Beet seeds produce two plants, so you have to separate them and move one. not all of them survived this transplant, but the ones that did are growing like crazy. Broccoli rabe: If i had read up on this vegetable I would have realized that you need to pick them early, at about 6 inches. If not, like I did, they get tough and inedible. Lesson learned. 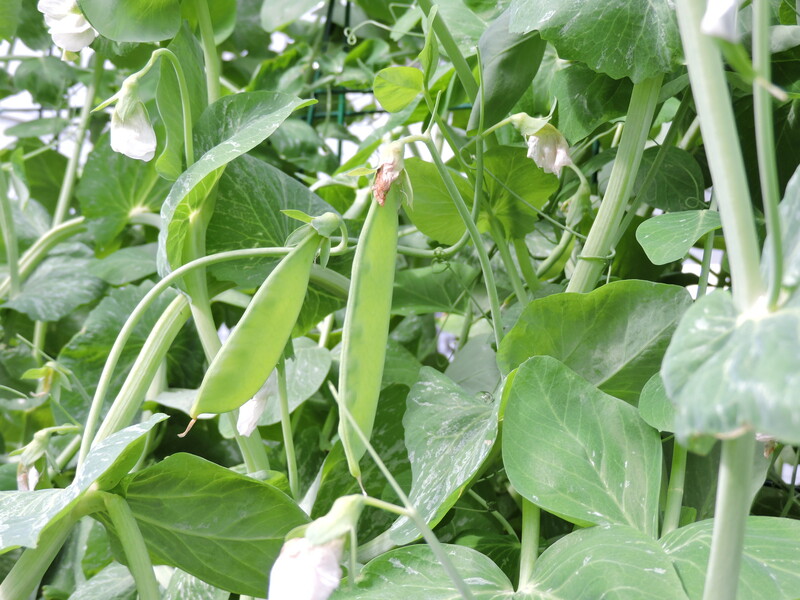 Peas on the vine . . . will be ready to eat in another week. Blackberries and raspberries will be ready next. Stay tuned for harvest time. Oh so yummy! Enjoy the fruits of your labor! Thanks Laura. I hope the buggies leave some for me!